"Pupils follow a challenging and diverse curriculum"
In Forms I, II and III (Years 3, 4 and 5) children are taught English, Maths, Science, French, Humanities, Design Technology, Computing, PSHE, Music, Art, Drama, PE & Games. In Form III, we introduce Latin. Children do their prep (homework) at school under the supervision of a member of staff. 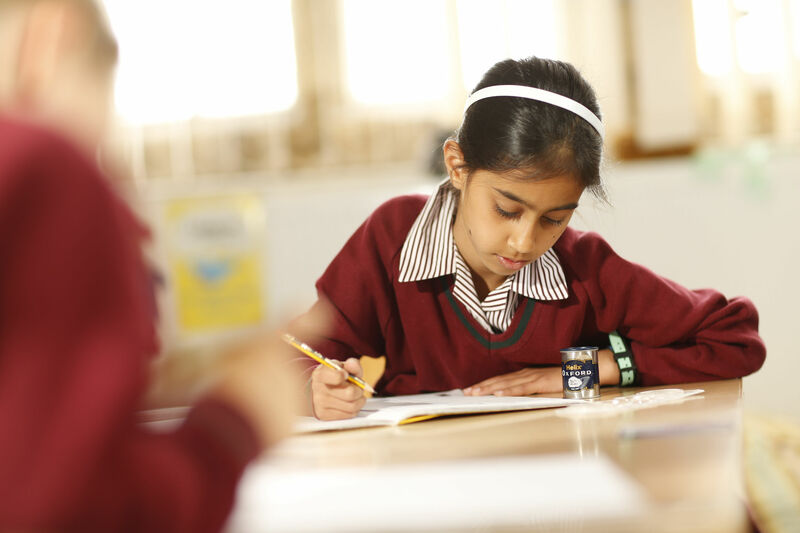 During Prep, we encourage children to learn to study quietly and independently. Our curriculum is enriched and extended by trips, visiting speakers, themed events and drama workshops. In Form III (Year 5) children take part in an exciting 3-day residential bushcrafting trip. We take every opportunity to develop children's confidence and encourage them to perform in front of each other in assemblies, inter-House competitions and dramatic productions, including our annual Junior Play.